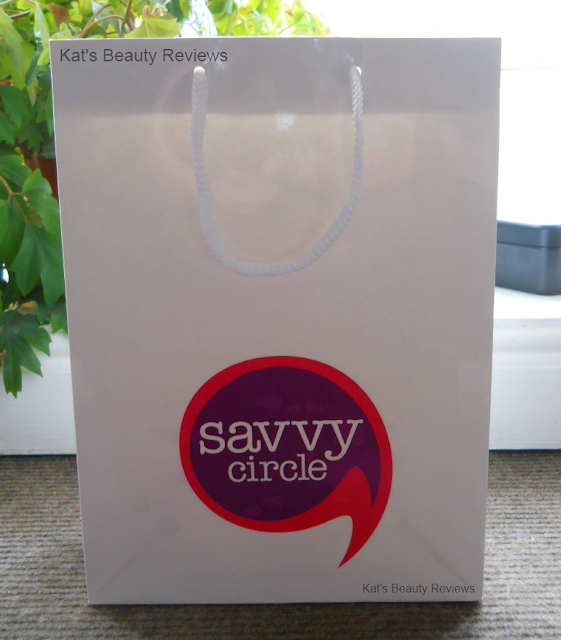 I recently applied to be a member of the Max Factor Circle on Super Savvy Me, and last week I found out that I'd been accepted. So, this afternoon a nice man knocked on my door with a bag (inside a box) of goodies that I want to share with you guys. 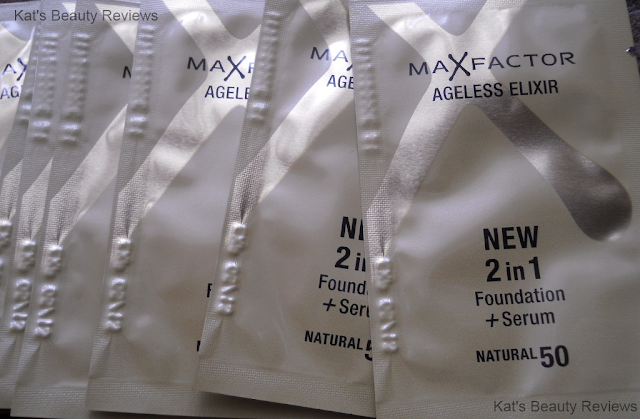 Basically, I have 15 samples of Max Factor's New Ageless Elixir 2 in 1 Foundation + Serum to give away. All of the samples are 50 Natural so it should suit most skin types. 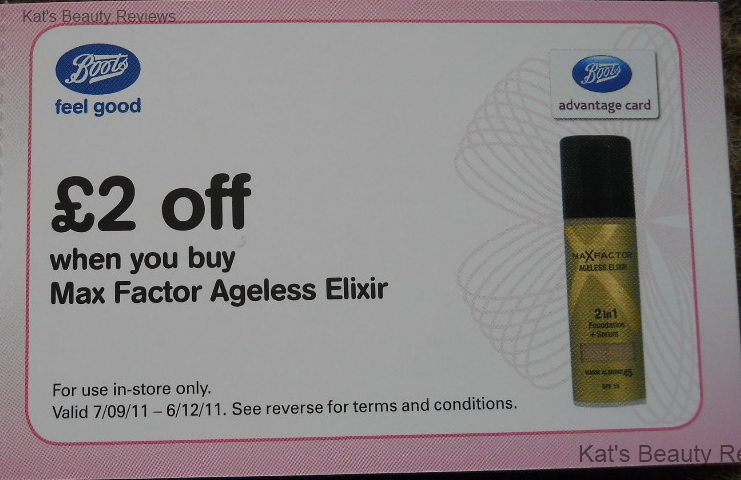 Not only will you receive a free sachet to try out, but you'll also get a voucher for £2 off the full sized product. There is, of course, a small catch. In order to receive a free sample, you'll need to agree to answer a few questions about your experiences with the product. The survey will be conducted by me, will be completely anonymous and your details will most definitely not be shared with anyone and especially not any third parties. Fancy taking part and getting a free sample? 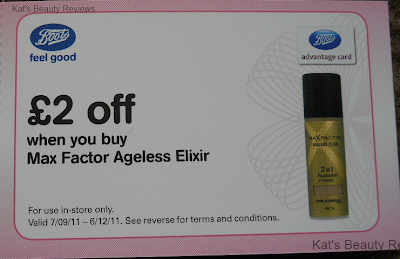 All you need to do is leave your email address or Twitter name in the comments below, and I'll email or message you for your address to receive your free sample and money-off voucher. A link will also be emailed to you for you to fill in your survey, which will need to be completed by 14th October 2011. Note: If in the unlikely event that more than 15 ladies show an interest, I will place names in a hat and select them at random. However, it should be noted that the sample is only available to individuals who follow this blog (new followers are of course welcome!). The closing date for applications is 12pm (Noon) on Sunday 18th September and samples will be sent out the following week, giving you plenty of time to test the product out and fill in your survey. I'd love to try this please Kat! I was looking for reviews on whether or not to consider this foundation, but this is even better! :D Please sign me up.